Of all the relationships I have and have had in my life, the one with my B.F.F. is the longest and has been the most tumultuous. And its all on me. I know because, I have to sit and think about the times when I truly celebrated and appreciated my relationship with my B.F.F. Yet, in a heartbeat I can recount endless experiences when it was fraught with tension, remorse, regret, and recrimination. Despite it all, my B.F.F. is with me day in and day out! What makes me stay in a relationship like this? Are you familiar with a conversation like this. Person #1 volleys another ball across the net by saying, “It is true, I just went shopping and I had to buy a larger size (dress, jeans, pants, top), because I looked like (insert another negative reference). Person #2 returns with something supportive and to negate person #1’s tirade on themselves. The tennis match continues. Sometimes Person #2 takes a turn at serving and person #1 is returning supportive comments etc. I’ve had countless conversations like that. And we would easily carry on a conversation going back and forth and back and forth, being funny or sarcastic about our choices, our bodies, and most significantly we would be diminishing ourselves but with “friendly” banter. That empathetic exchange between friends does nothing to uplift our B.F.F. relationship. 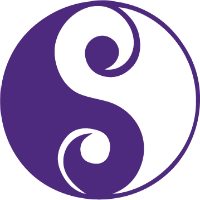 It may make us feel better knowing that we are not alone in this moment, that others can sympathize and understand. And getting it off our mind by being able to share that with someone is a way of diffusing the energy. Curious, is it possible that we believe that since we are saying it about ourselves that it isn’t harmful. What about when there is the litany of self deprecating comments that are spinning in your mind that we are not expressing. There are so many moving parts when it comes to this intricate relationship as a whole. How you feel about your body can affect how you feel about the food you are eating or have eaten. How you feel about the food you have or are going to eat can affect your relationship to your body. How you feel about your physical ability to move and or your physical movement (fitness) can affect your relationship with both food and your body. These are just a couple combinations. Plus, this works both positively and negatively, when your relationship with your B.F.F. is good and when its not as good as it could be. 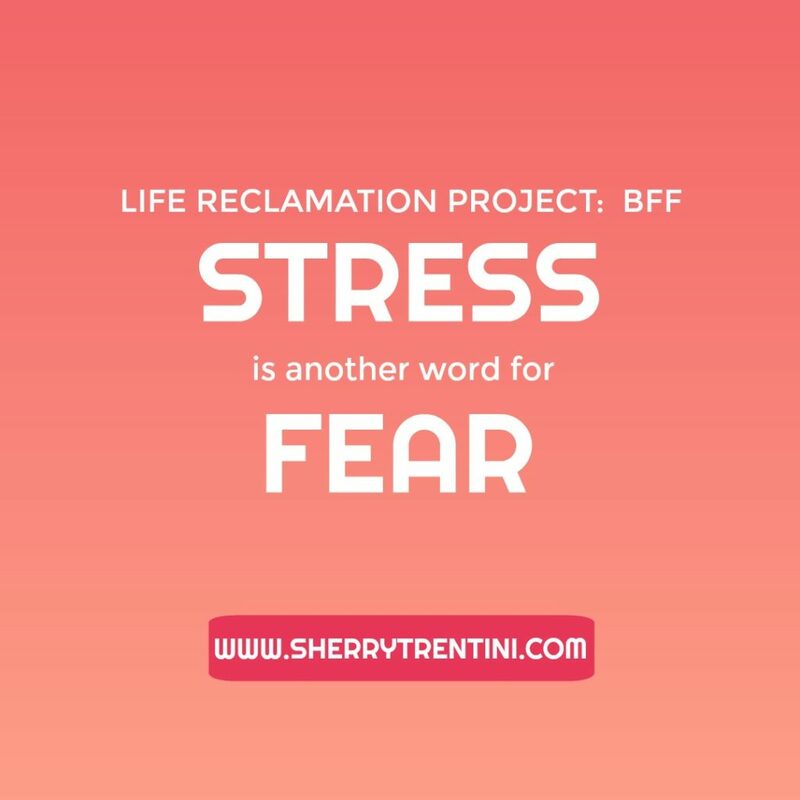 Stress is another word for fear. about how I wish I was still the same size as when I was…. I’m not telling you how you feel, however that kind of or any kind of stress doesn’t feel good. And if is a strong element of your relationship with your own B.F.F. that likely doesn’t feel good either. When it comes to wanting to make a change that involves your body + food + fitness or any combination of those three, it is possible that we not starting with a fresh page, based on our past experience. I coach people to re-envision their future by letting go of the past. By untangling from a relationship to someone or to something and reclaiming that space to move forward. 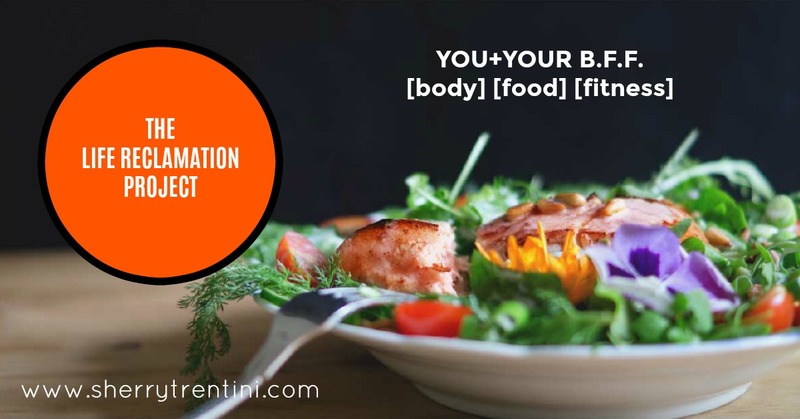 This course’s content is specific and an excerpt of what I discovered about my relationship to my body + food + fitness by letting go of what I was holding onto, as I experienced it. There are so many mixed messages out there when it comes to our Body, Food & Fitness. There are permission based messages such as: “Eat the cake, buy the shoes!” and because it is January the world is littered with advertising messages telling us to: “Lose the cake & put on your running shoes!“. 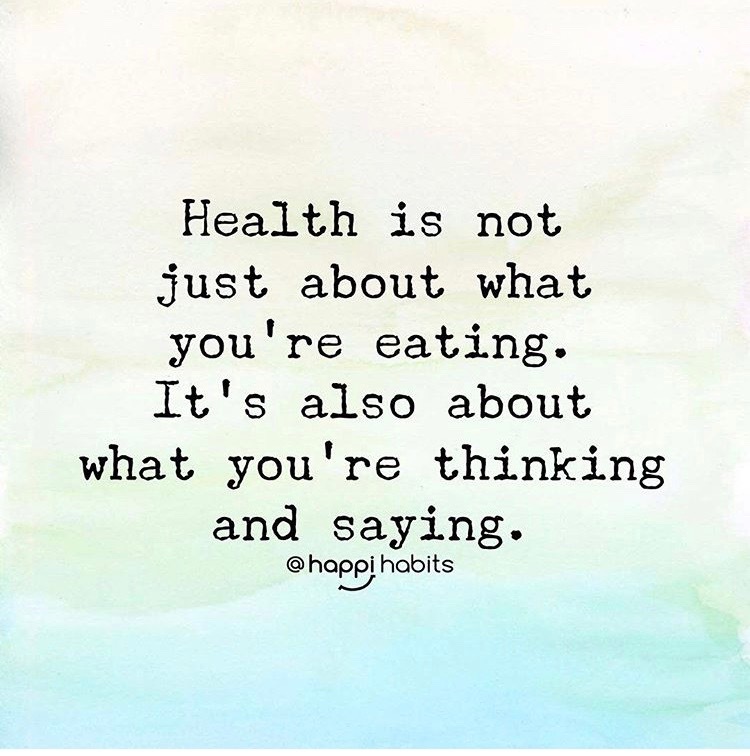 We have over 60,000 thoughts running through our minds every day; and if you have decided to make a change to your Body, Food or Fitness its possible that you may notice that not all of those thoughts are on the side of you succeeding in your BFF goals. This is what I want to work with you on in The Life Reclamation Project: B.F.F. Perhaps you have heard the analogy that “The best defense is a good offense”. When your thoughts and feelings about making your unique changes to your B.F.F. and there is discord in that relationship, you may always be on defense. Playing defense and having to defend your goal more often than not is exhausting. That is what I mean when I say this is about YOU + YOUR relationship with your B.F.F. If you have every had a tiff with your Best Friend Forever; then created an opportunity to clear the air, get things off your chest and get back to the feel good of your relationship…doesn’t that feel lighter? You were emotionally honest about how you were feeling…You felt heard. They felt heard.You reconnected and together were back on track. That is the benefit I intend for you; so that you can pursue your goals around and on your B.F.F. as a team, playing offense together and moving forward and toward whatever your goal is! Your Beliefs about your Body, Food & Fitness which we have learned or adapted. Triggers – What sets off a rift between you & your B.F.F.? Language Diet – Our thoughts affect and infect how we feel, what are we saying about and to ourselves. Life Reflection – What life experiences have had significant influence. BFF Reflection – What has our relationship been like up until now. Getting to the Core – What do you want more, better and different? A. I, Sherry Trentini, am not a physician, nutritionist, personal trainer, psychologist, psychiatrist, therapist or any other licensed professional. This is an educational course and contains contents, excerpts and an overview of my own experience with this program. This is neither a replacement for or substitution for working with a physician, mental health provider, a nutritionist, or other clinical matters such as for but not limited to drugs, alcohol, disordered eating, binging, purging, eating disorders, or other clinical mental health problems. Your participation and or purchase of this educational course and any subsequent 1:1 coaching thereafter; is intended to be in support of any other therapies, treatments or programs you are participating in currently or in the future. Read more about me and testimonials here. Q. Is this a diet, weight loss or an exercise program? A. No, No & No. This is about your relationship with your body, food and fitness and about letting go of what you are holding onto that may be holding you back. The emotional relationship with how you are thinking & feeling about your life experiences with your B.F.F. ; then taking action steps to move beyond what feels emotionally heavy. A. [BETA VERSION] Since this is the BETA testing phase of the course, the materials I provide are yours to use and review for as long as you keep them. Access to private, semi-private or group coaching will be for the duration of the program. Q. What if I change my mind/life happens and I can’t complete the program? A. [BETA VERSION] No refunds will be offered for fees paid, if you choose to opt out you will be removed from receiving any further materials and no more payments will be made. Q. How can I contact you to discuss this or other questions? A. Simply send me an email at sherry@sherrytrentini.com with your questions and you are always welcome to book a discovery call by HERE.